The Greater Seattle Hockey League (GSHL) hosts league practices throughout each season open to all players within the league. If you want to get more ice time and improve your skills in a fun and encouraging atmosphere, the GSHL practice sessions are a great resource. The practice sessions are fun, supportive and station-based. Practices are designed to provide both skill development and tactical habits by providing more repetitions and puck touches than players experience in full ice games. 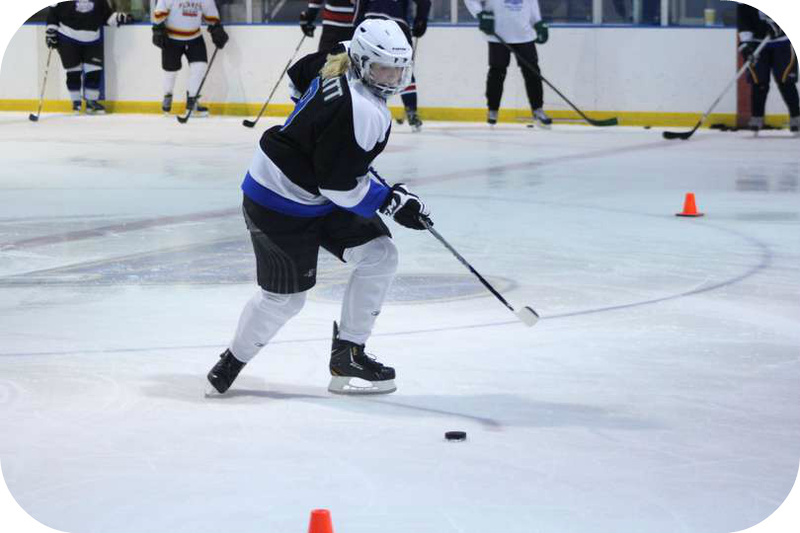 Skills such as fundamental skating, passing, shooting and body contact are the focus of the first half of each practice The second half of each practice is dedicated to competitive small area games which focus on hockey IQ, while providing a fun way for all participants to learn. These games teach offensive and defensive support concepts, transitional awareness, power play concepts and much more; all in an intuitive and experimental "game is the teacher" environment. The following league practice sessions are coached by USA Hockey-certified coach, Mike Moe, as well as former University of Wisconsin forward, Coach Molly Doner. Coach Doner also offers private, one-on-one skating and hockey lessons. For more information, click here. Skater costs are $15 per practice, and the first four goalies skate free. Please register on Dash below. Be sure you are an active member with both USA Hockey and the GSHL. Visit Dash, log in or create an account, and select the date(s) and time(s) you are interested in. You may also select your position above to be directed to the registration page.